May I take this opportunity to welcome you to Newcastle Primary School . If you already have a child at Newcastle or if this is your first association with the school you are equally welcome. We pride ourselves at Newcastle as being a very caring school community. 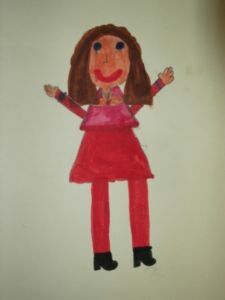 We put the children in our care first and endeavour to create a pleasant, secure and happy environment, where the children can achieve their best. Choosing the Primary School for your child is possibly one of the most important decisions that you will have to make. 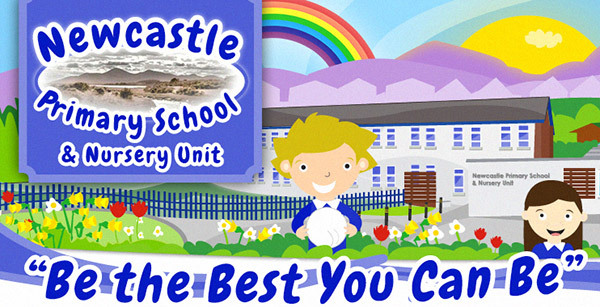 Before making that decision we would ask you to consider what Newcastle Primary School has to offer. This website has been designed to help you know more about the life of our school, to enable you to make an informed choice for your child’s education. No prospectus or website can convey the full picture of school life, so I invite you to come and visit the school and see for yourself. Please do not hesitate to contact me to arrange a visit. I will be more than happy to meet you and answer any further questions you may have concerning our school. I hope that you find our school welcoming and that it will offer your child a well-rounded education. I look forward to meeting you and your child in the near future. Each day in NPS, the children are given fifteen minutes outside to walk/run around our Daily Mile course. Each child takes part at their own ability and they try to run a little more each day. 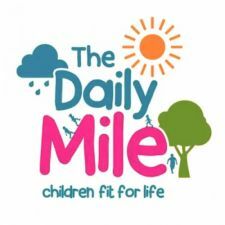 The children and staff love getting out in the fresh air and they have the chance to meet up with peers in other classes to complete the Daily Mile together. We are all enjoying this in NPS and can see a real difference in our fitness already! Please remember NPS is a NUT free zone. Please do not bring nuts or nut products to school. 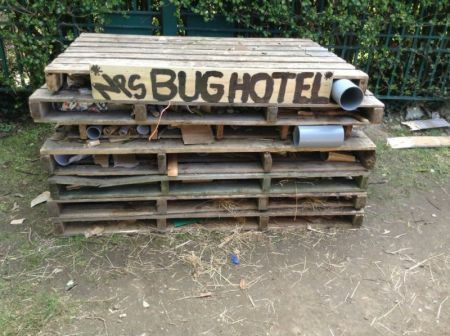 For reasons of Health & Safety, DOGS are NOT permitted anywhere in the school grounds. Please do not ride your bicycle or scooter in the school playground - we don't want any accidents! NPS is a NO SMOKING area and this includes the use of E-cigarettes. Please do not smoke anywhere on our school grounds. P1 and P2 Easter Fun! P3 Shared Education at NPS.